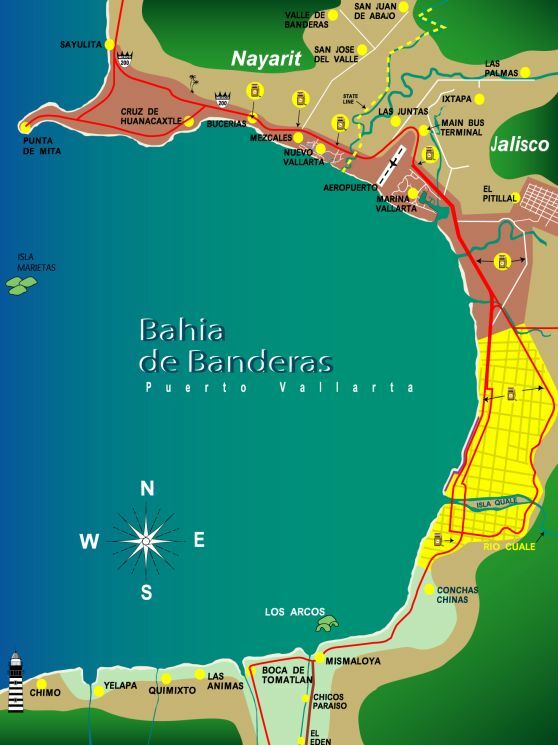 Banderas Bay is one of the prettiest bays in the world. At the mouth of Banderas Bay is a peninsula called Punta de Mita, located in the state of Nayarit. Its beach, Anclote, is a great place to have lunch while watching whales and the boats entering and leaving Banderas Bay. If you want to see these friendly giants up close you can enjoy them on Anclote or visit popular Marieta islands. The Marieta islands are surrounded by coral reefs, and are both a natural and government-protected sanctuary for birds and turtles and a great place to snorkel. Punta de Mita is also home to a modern 1,500-acre golf resort and residential development called Punta Mita, with some of the world’s best hotels, including the Four Seasons and La Solana Rosewood.